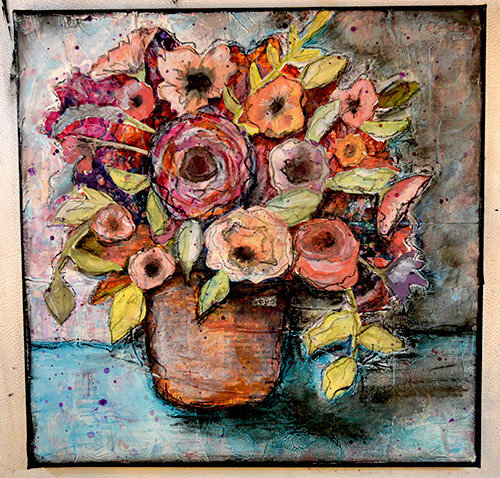 This 12 x 12 original on canvas, is created with rich layers of vintage paper, water color paper, acrylics, charcoal and more. It has soft yet grungyness to it. With a tiny word on it that says hope. Sides are painted black. Signed on the front and the back and sealed with a soft gloss sealer. colora may vary due to monitors.